When I finally made the decision to visit Japan; a visit to Sanrio Puroland was of course on the top of the list! It has always been my dream to visit the ultimate Hello Kitty theme park. The trip to Sanrio Puroland first started off with getting on the train to the city of Tama where Sanrio Puroland is located. From Shinjuku Station, I took the train to Tama Center Station. Tama Center Station itself was a real treat! The station is decorated in Sanrio characters donning train conductor outfits. From stained glass ceilings to elevator doors; one can see Hello Kitty, Pompompurin, Cinnamoroll, Kiki and Lala all dressed up! Hello Kitty has to be the cutest train conductor ever! As one exit’s the Tama Center station; one steps into Hello Kitty’s town! This is the town that leads up to Sanrio Puroland. The town is filled with Hello Kitty walls showcasing her, her twin Mimmy, her Papa and Mama and of course her special someone, Dear Daniel! The map of the town as well as the signs around the street all Hello Kitty inspired. Even the stairs leading up; are Hello Kitty themed! It definitely is the cutest walkway to the themepark. My excitement was definitely hitting an all time peak but there was nothing quite like seeing the entrance to Sanrio Puroland! It was like all of my childhood dreams coming true. Once inside the theme park, I first hit up the Sanrio Character Boat Ride. This definitely was my favorite of the whole park. It reminds me a lot of the It’s a Small World ride in Disneyland except it’s all Sanrio characters! Throughout the ride; you step into the world of many of our favorite characters. My favorite of course was Hello Kitty and Dear Daniel. I also went on the My Memoroad Drive! Here one gets to ride My Melody cars and all along the ride; they take pictures of you! One can choose to purchase a photo collage that you can decorate at the end of the ride. Another favorite of mine was visiting Lady Kitty’s house! It’s so elegant and beautiful and the best part of all is you get to meet the main lady herself; Hello Kitty at the end! 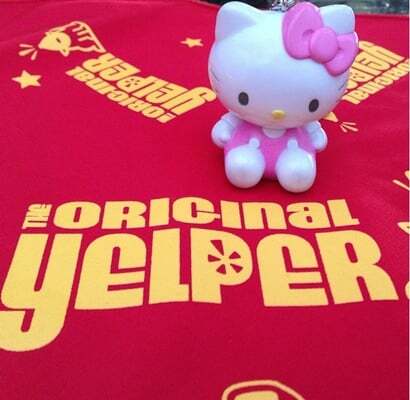 In true Hello Kitty Foodie form; I had to checkout some of their food offerings as well. Everything was so kawaii! I chose to get the Hello Kitty curry! I loved the Hello Kitty shape rice and how her ribbon is made out of spam! I also loved the Hello Kitty ramen! Ramen has never been so cute! Sanrio Puroland was truly a dream come true and a visit that I will never forget. Hello @kingshawaiian Hawaiian 🌺BBQ Dodger Dog 🌭 ! 📸: Dodger dog served on King’s Hawaiian hot dog bun topped off with smoked pull pork and King’s Hawaiian original sweet pineapple 🍍 bbq sauce! Hello Sakura season in the South Bay 🌸! Cherry blossoms = a pretty in pink happy 💕 day!